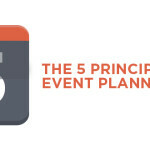 At this point, the bulk of your summer event planning should be done and now it ought to just be down to the fine-tuning before your events hit! (Although I know good and well that some of you are scrambling right now to pull everything together for camp! Its okay, I won’t tell!) Whether you are ahead of the game coming into summer or playing a little catch-up, it’s not too late to get started on the right foot for next year. Effective event planning requires a certain level of planning and organization, and your best friend in both of these categories is time. This is why starting your planning process for next year must start immediately by correctly evaluating not only this year’s product, but also the process leading up to the product. How has the whole planning and implementation process gone, and in the end, what results did it yield? One of the greatest habits of standout leaders across any industry is the ability to ask great questions. 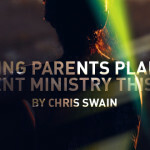 As you launch into the hectic pace of a student ministry summer schedule, you need to have in mind what questions you need to be asking throughout the summer. What information do you need to pull from all of the programming you will do this summer? How can you improve next year by the things that you learn this year? What areas do you personally need to grow in to be more effective as a leader? 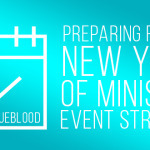 What training can you offer your leaders to further equip them for ministry next year? 1. Ask questions that are measurable. This will help you put together a table of data that will become a baseline to work from for next year. 2. Ask questions from multiple perspectives. Don’t be afraid to listen to voices other than your own because what you hear may expose some blind spots.